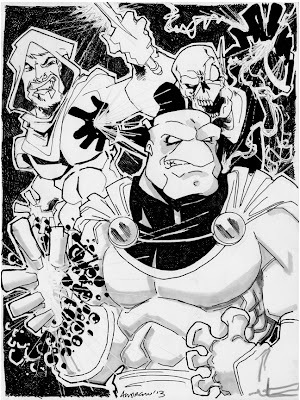 Vanth Dreadstar and Syzygy Darklock battling the High Lord Papal... another request for the Comic Geek Speak Super Show. 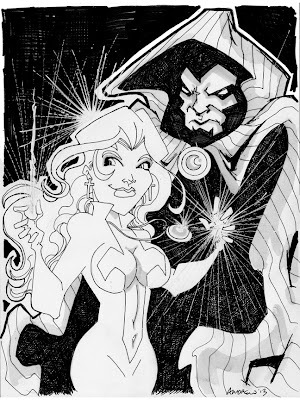 One of three for the Super Show... Cloak & Dagger! 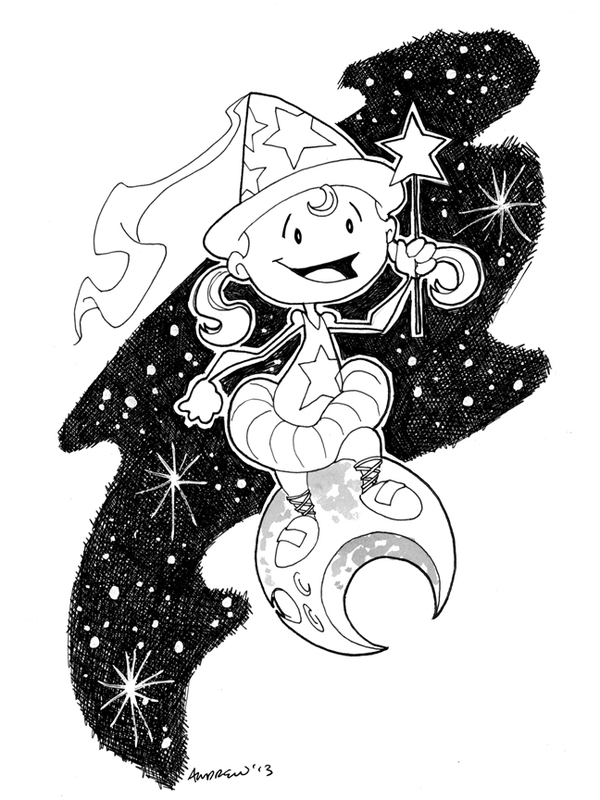 This isn't a specific commission but just something cute I wanted to do for someone who likes Princesses... I call her the Star Princess. 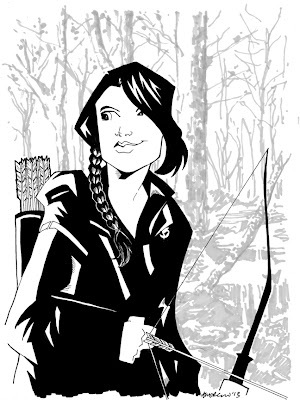 Another sketch for the CGS Super Show... Katniss Everdeen from the Hunger Games. 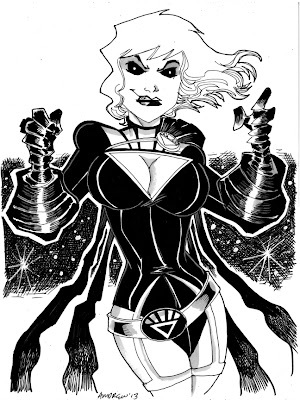 Just another one for the heck of it... Black Lantern Power Girl. 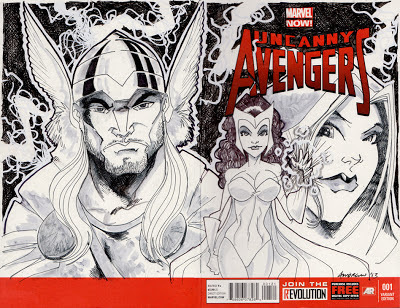 Recently I picked up a few blank cover comics and this was the first one I completed... Uncanny Avengers #1 featuring Scarlet Witch, Rouge and Thor. 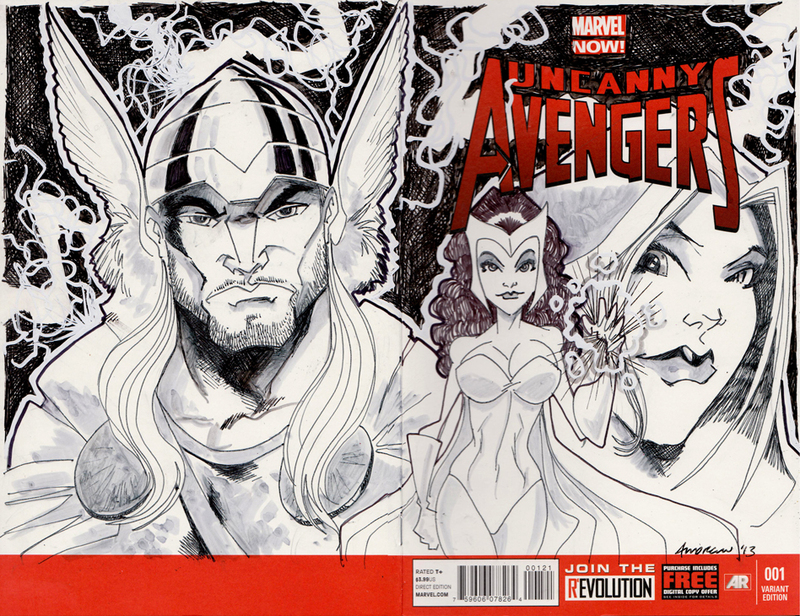 Originally it was suppose to also include Havok but Thor started to take over the whole back cover so he got cut, he he he. 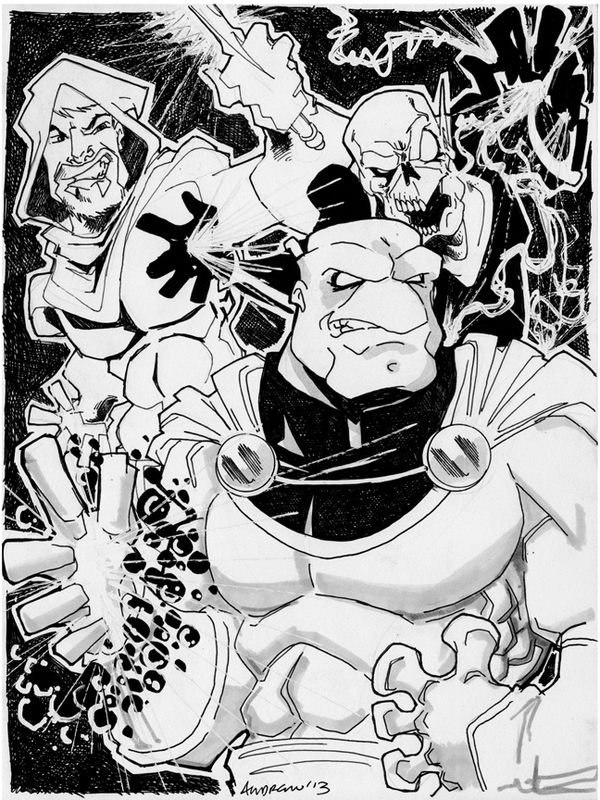 This one will end up on eBay sooner or later.